When sixteen-year-old Amanda Verner's family decides to move from their small mountain cabin to the vast prairie, she hopes it is her chance for a fresh start. She can leave behind the memory of the past winter; of her sickly ma giving birth to a baby sister who cries endlessly; of the terrifying visions she saw as her sanity began to slip, the victim of cabin fever; and most of all, the memories of the boy she has been secretly meeting with as a distraction from her pain. The boy whose baby she now carries. 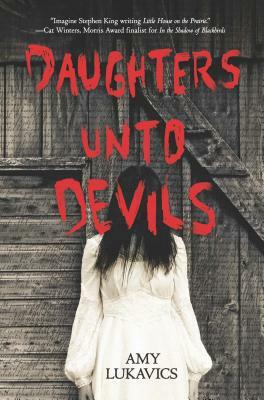 When the Verners arrive at their new home, a large cabin abandoned by its previous owners, they discover the inside covered in blood. And as the days pass, it is obvious to Amanda that something isn't right on the prairie. She's heard stories of lands being tainted by evil, of men losing their minds and killing their families, and there is something strange about the doctor and his son who live in the woods on the edge of the prairie. But with the guilt and shame of her sins weighing on her, Amanda can't be sure if the true evil lies in the land, or deep within her soul.